Just like sports stars, cruciate ligament tears and ruptures are very common in dogs, often resulting in significant lameness or pain. 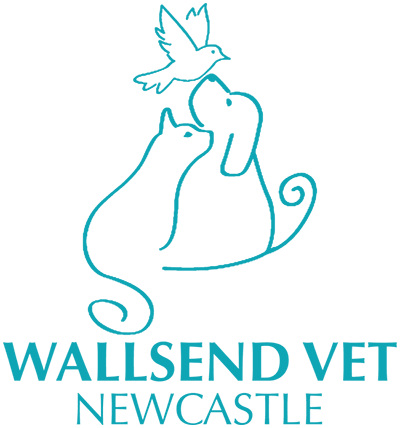 Our Veterinarians at Wallsend Vet Newcastle offer the latest techniques for cruciate repairs including Triple Tibial Osteotomy (TTO) and Modified Maquet Procedures (MMP) to correct injury to the knee (stifle) and have your once-energetic canine pal feeling like an athlete again. You might be thinking, what does this orthopaedic surgery involve? The diagram below demonstrates the three bone incisions that are made to the tibia during a TTO surgery (left). The diagram on the right demonstrates how bone segment No. 3 has been lowered to reduce the previously obtuse angle made by the patella and femur to become a 90° angle, so the femur will sit deeper into the tibia, preventing the knee joint from slipping. Once the bone incisions and adjustments are made, the bone segments need to be stabilised, using a bone plate and screws as demonstrated in the X-ray below. Prior to any diagnosis, our team will perform a complete physical assessment on your dog to determine his or her physical condition and work up a plan for the most effective and achievable outcome. Please give our friendly team a call on 4951 4222 to discuss booking in for a physical assessment on your dog.